Some people believe education is only relevant for your people. But Seiuli Salatielu Petaia, who is a father 5 and married to Helen Petaia, says otherwise. Seiuli and his wife currently run a business in Australia with the aim of influencing the youth; they push them to excellence and help them every step of the way so that they leave empowered. Rather than the usual ‘throw them in the deep end’ method, Seuli would rather work beside the young people. 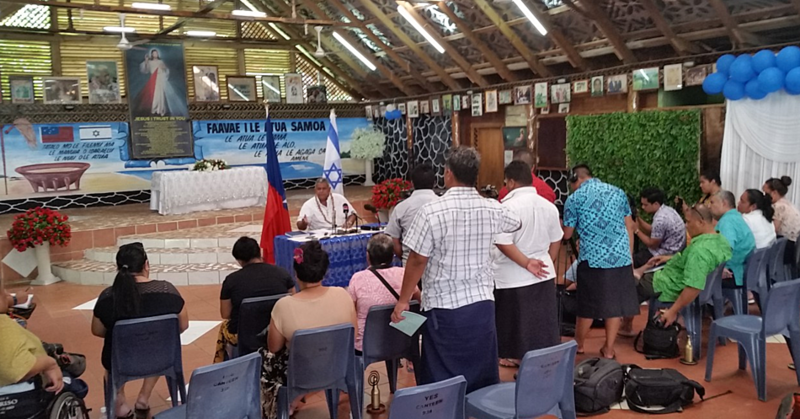 Being in the country for the Classmates of 1981 reunion, Seiuli has a strong message to share with Samoa; it is never too late. Just like many of his classmates, they all started at the same place. “I started off at Apia Infant,” he said. “There is not much recollection from that time other than I remember that it was the time when they introduced Coca Cola. “There were these 200-300ml bottles; I remember that because that was our first look at something foreign and then seeing white kids in school for the first time and listening to them speak a foreign language. “So that was my recollection of that time and then of course, with me as a kid being introduced to new things such as medical checkups in school. “So that was all fairly new at that stage in my life. “When I got into Apia Primary that was mostly about making friends, one thing I remember is that there was this teacher that was educated in New Zealand and then returned to Samoa. “He would host what we called a big time wrestling every Wednesday, so the boys would wrestle and the girls would just watch; it is a very vivid memory of that time. “Everyone would always look forward to wrestling; so it was quite a novelty that helped continue that relationship with friends we already had at that time from Apia Infant. “Another thing I will never forget; it was there that I met this girl from New Zealand, her name was Seilene Westerlund; she was an intelligent girl who was fluent in English. “At that time it was very important to make it to Leififi intermediate, so Seilene sat next to me and she had a big impact in my learning; my math took off and I would come second to her in the year level. “That provided a huge confidence boost to have someone that impacted my Academic learning, the way she saw things helped switch on my brain. Seiuli was then given the chance to continue his education in New Zealand which became somewhat of a downfall for him. “My family then sent me off to New Zealand to continue high school in 1979,” he said. “It’s interesting because I was sent there to improve my education but it was the detriment of my learning. With his educational downfall hitting young Seiuli hard, he later found that it was a blessing in disguise as doors to the world opened up to him. “I didn’t do too well after that but I did get the chance to see the world,” he said. But nothing tasted sweeter for him than to finish what was started years ago. “The highlight of my whole life is reconnecting with my education,” he said. “I just completed my bachelor in social science, I major in Psychology with the emphasis on counseling; so that was the closure of what I knew in my brain that I was capable of doing but never really had the result to show for it. “It was a way to prove to myself that I could still do it and I did; out of everything in my life, I will always remember those who challenged me or influenced me in my studies. “The main message behind this is that we are all capable of achieving whatever we put our minds and hearts to if we are prepared to do the work, and part of that work is the development of our minds. “So coming here for the reunion of the class of 81 and recognizing their own achievements makes me appreciate the journey that we have all been through. “Each of us has our own status through our individual hard work and our pursuit of excellence in our own field. According to Seiuli, the key to keeping a group like this together lies within a few active individuals who take it upon themselves to bring everyone together. “For a group like this, you have to have someone that is the magnet,” he said. “There are a few of those in this group that I can say we are lucky to have; they acts as glue and goes between us to bring us together. For one of the students, a life of long work has led to one final conclusion; and that is nothing feels greater than to work for your own people. Being from the villages of Malie, Lefaga and Vaiala, Sina Wendt-Moore began just like her colleagues but her calling was not the same. With Mrs. Moore holding the C.E.O. position in Leadership New Zealand, she is charged with making sure the rising leaders are well guided. But this did not come easy; in fact, a lot of work has built up Mrs. Moore for such a task. “I basically grew up here and went right through Apia infant, Apia Primary, Leififi Intermediate and then to Samoa College with my fellow colleagues,” she said. “So the special thing about our reunion is that it is not just one school, we all basically grew up together through our earlier years of education then as we reached college we separated but we all stayed connected no matter what. “After my years in Samoa College I left to take up my scholarship in Christchurch, New Zealand; I finished a degree in sociology and political science. “I moved to wellington where I met my husband at university, his name is John Moore.” For someone who seems to have everything in line, Mrs. Moore admits that this was not always the case. “Most of my work life has never really been planned,” she said. “So I came up with an Arts degree and so I didn’t really know what I wanted to do with it; because a lot of my family members are teacher, public sector and government workers; I kind of started looking for public sector jobs such social welfare. “I was a poor student for a while so I got a holiday job in yellow pages advertising and I watched these sales reps having what looked like an awesome life, they had a car, a really good salary and they got to go out and sell advertisement. “So after the holidays they asked if I wanted to be a sales rep and that’s how I got into telecom and also sales advertisement. But even with that well paid job Mrs. Moore felt as if a piece was missing, that piece was found when she began serving her Pacific people again. 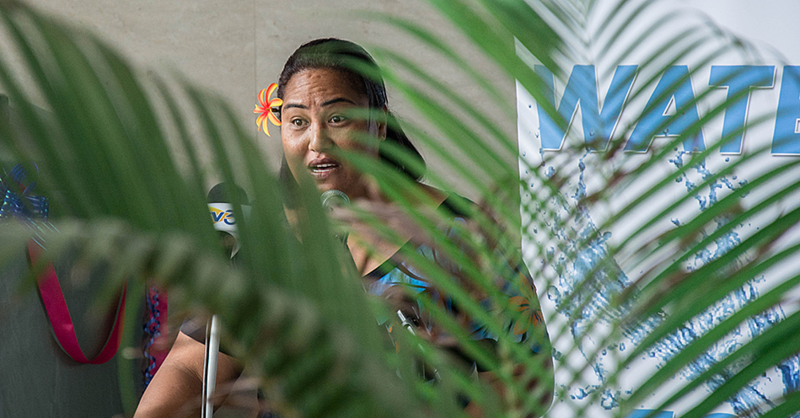 “I left telecom and decided that it was best to be a stay at home mom to be with my children as they grew up and then during that time I got a call from the Ministry of Pacific Islands affairs in Wellington,” she said. 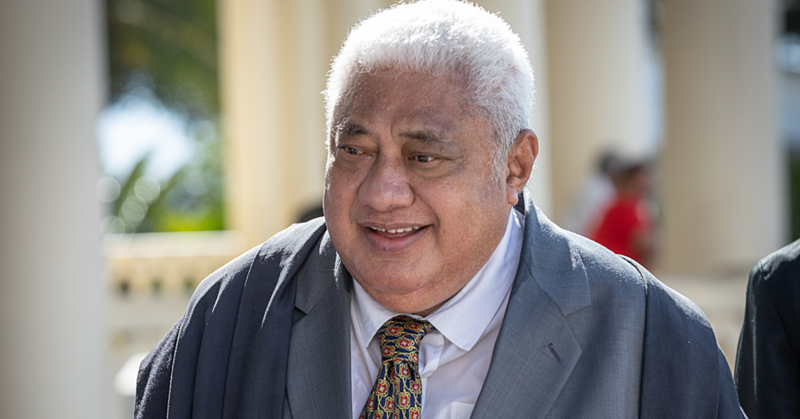 “They were looking for some board members for a project that was being set up by the minister for Pacific Islands Affairs to birth a Pacific Broadcasting network in New Zealand that would broadcast in seven pacific languages nationally. “So I applied for that and I was one of eight who were selected out of around 180 applicants; that made me so excited because this was the first time that I got into work that served Pacific people rather than just make money. “I was really excited to be able to connect back to being Samoan because that meant a lot in the job. “I was on the board for about a year and within that year they needed a new C.E.O. and I applied and got the position. “So for the next six years I was involved with building up that Pacific Broadcasting Network; that was really phenomenal, I absolutely loved the job. According to Mrs. Moore, she felt that she was meant for a higher calling which brought her to where she is now. “After six year I thought that it was time to do something else and so since then I have been working in leadership development,” she said. “So I am currently a C.E.O of an organization called Leadership New Zealand and that is all about developing leaders for New Zealand from across all parts of society. “One of our goals is to connect leaders across New Zealand’s diversity so that they learn how to work together more affectively and lead more successfully. “I am very interested in bringing up young pacific leaders and to allow them to know where their leadership roles lie in the future. “If we can help younger leaders think more strategically for themselves at an earlier stage in their careers then they could have greater impact. Bringing us back to the reunion, Mrs. Moore has nothing but pride for her friends she started with. “Coming back and meeting my old group of friend’s means so much to me,” she said. “I look at where they are and I think ‘Oh my! These are my friends that are now shaping how Samoa goes into the future’. “They are leading in the government, leading in organization and leading in the churches, it’s exciting for me. The bond the class of 1981 shares has formed into something unbreakable and according to Mrs. Moore, that bond is what keeps their group together. “One of the best things about back in the days is traveling was hard so seeing people was very difficult, now air fares are now affordable,” she said. “There’s also a special sort of bond between the class of 1981 which was formed as we grew up together; we all have a shared experience so we all remember of what it was like to grow up in that time. As many students go through their school years, many of them despise their teachers. But for Ailao Hunkin-Robertson, her teachers had a big impact on her life. She respected each of them so much not knowing that she was unconsciously grooming herself to become a teacher herself; but not just any teacher. She is currently a Science, Technology, Engineering and Math’s (S.T.E.M) teacher tasked with teaching teachers. But just like all her fellow class of 1981 comrades, it all began in a small school called Apia Infant. “I remember my teacher being Mrs. Ah Wong who is still alive and living in New Zealand,” she said. “My infant years have been with the same people going from one year to another and to another until we went up to Apia Primary. “I was with the same 10 people for a while and it was a wonderful experience for me and it’s one of those experiences I will never forget. “I think it’s unforgettable in a lot of ways and one of the ways is evident this week because of the friendship that we created. According to Mrs. Robertson, a lot of the teachers in those days were recent graduates from overseas, this made them excited and eager to teach; their way of teaching was in so many ways influential to her. “We had a lot of the new enthusiastic teachers who had a lot of fresh knowledge to impart on our young minds; that was one of the biggest influences for me,” she said. “Having all these teachers coming and bringing what they’ve learnt in New Zealand back home was great. “When my friends and I separated for college I went to Samoa College; after I graduated I took a year off to help with my family, and then I went to New Zealand to continue my education in 1984. “From there I went to Auckland University where I got my science degree and went straight to work at the Accident Compensation Corporation in New Zealand. Being a working mom meant there was a lot of parent teacher interactions, according to Mrs. Robertson, these interactions also groomed her for what she was destined to do. “I actually enjoyed all the parent teacher interactions and thought that I should go back and get a diploma in teaching,” she said. “So I went back in 1999 and graduated in the year 2000; at that stage I took on a job with a Ministry that was looking to strengthen education in Mangere and Otara. “After that I went and worked at a primary and then an intermediate school before moving to Australia. “I currently work in Australia as a S.T.E.M teacher; S.T.E.M is a project within a department in Victoria Education. “So that’s an area I am really passionate about and it is an area that I want to continue being a part of, right now I coach the S.T.E.M teachers at different schools. Bringing us back to the reunion, Mrs. Robertson feels that the key to keeping any group of friends together is to first have a firm bonding foundation. For the class of 1981, that foundation is the joy they shared as they grew up together. “I think friendship keeps any group together,” she said. “Our bond was created when we were at school having fun and joyous moments together; contrary to other people who didn’t have good experiences in school, we had a lot of fun. “Although we did a lot of things that would be frowned upon now, we have a very successful group of likeminded people. “This is a relationship formed from those teachers and the struggles that we had together; not only has it kept us as friends but it has also helped shape what we are today. For one unique student, although she was the only foreigner in the class of the 1981 group, she felt right at home with her college school friends. Lynette Wrigley–Brown is one of a few in the group that holds a Doctorate qualification. With her qualification focused on French, she became a teacher before partially retiring so that she may spend some more quality time with her family. But out of everywhere in the world she has visited, no other place impacted her life the way Samoa did. 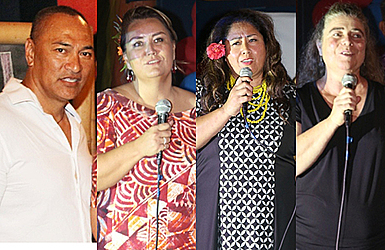 “I stayed in Samoa for a few months because of my father’s employment,” she said. “I actually did a few jobs while I was here, I worked for aunty Lanu’s bakery and Video store; I also did some babysitting. “While in the country I managed to learn some of the Samoan language as well as French in the very first year of the Samoan university. “After Samoa I went to Indonesia with my parents before going to Auckland University where I did an Arts Degree followed by Drama Degree and then finally I did a Masters in French. “I kept studying and studying while teaching English as a second language. “Part of that interest in teaching second language was being in Samoa College which was all taught in English; for many students English was a second language; I could easily understand the difficulties. “I went to live in France with my husband followed by England where we had our first baby and then I returned to New Zealand to do a Doctorate in French. “Since then I did translating from French to English and I also teach French at schools. “In fact I actually taught at Auckland University’s adult continuing education programme teaching both from French and English. Mrs. Brown found a real love in Samoa from the moment she arrived till her last goodbyes. “My time in Samoa College was fantastic,” she said. “There was quite a lot of culture shock especially since I had to learn a dance on my first day because we were having a big fiafia for our principal and they put me in line with a hundred other kids where we were forced to learn. “For the other kids it was just learning the sequence; but for me I had to learn what to do from the start, how to move my hands and what not. “I think it was a mixture of really seeing a culture from inside and that helped me in later life because I have gotten an open light from other cultures. “Going to school is much better than just going on a holiday somewhere. “I feel incredibly fortunate to have the experience of going to Samoa College, it changed me quite a lot, and it brought me out of myself because I was a very shy person. “I was such a serious little girl, I never smiled because I thought my smile was ugly, I covered my mouth when I did. “But when I came to Samoa I would walk down the street and someone I have never met before would smile and say ‘Malo’ and you just had to smile back. Being back with her friends has brought so many memories for Mrs. Brown and she feels that a meeting like this is only possible through a special sort of bond created from childhood. “I haven’t had much contact with this group for over 35 years and some of them have been seeing a lot of each other,” she said.